The price is a touch splurge-y, but this Ace & Jig top perfectly captures the spirit of early summer. 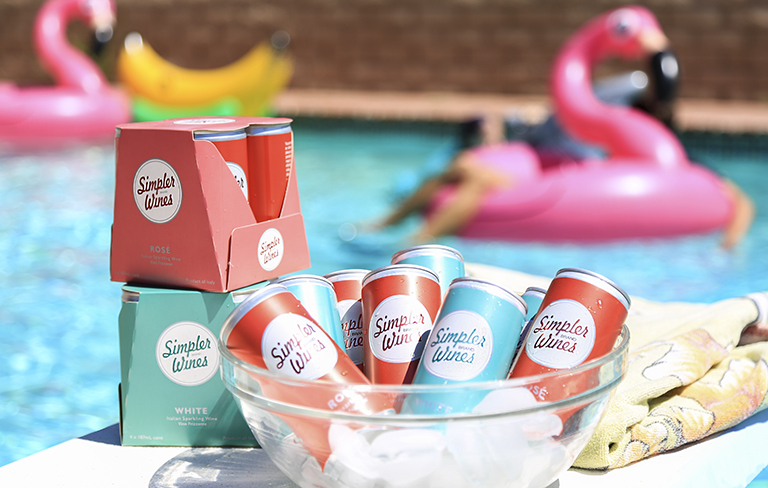 When I saw these $3.99 packs of canned rosé at Trader Joe’s, I almost fell to my knees out of sheer joy. 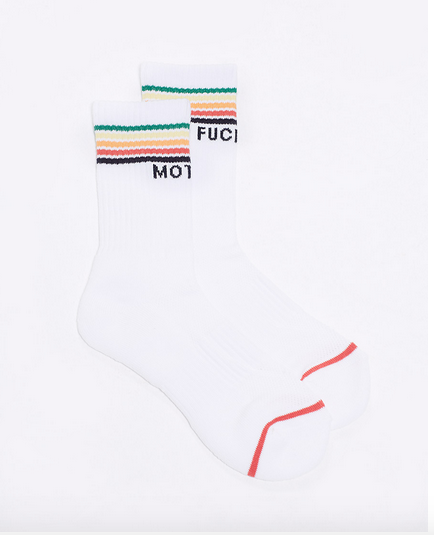 I love the idea of a “subversive sock.” These MF-er rainbow socks from denim brand Mother are so sweet, minus the vulgarity. 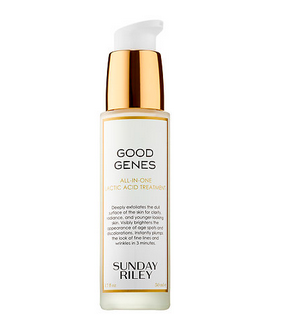 There’s something magic spell-y about this pricey serum, because I’ve never felt my skin feel so radiant and full and fresh. 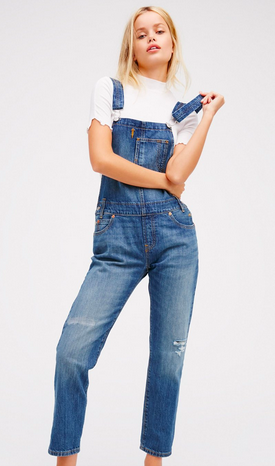 Wear these overalls with your fave pair of sneakers. Wear them with a pair of red high heels and a turtleneck. Wear them barefoot on a day trip to the beach. No matter how old I am, I will always, always have a pair of overalls in my closet — because they are an easy way to make any outfit look just right. 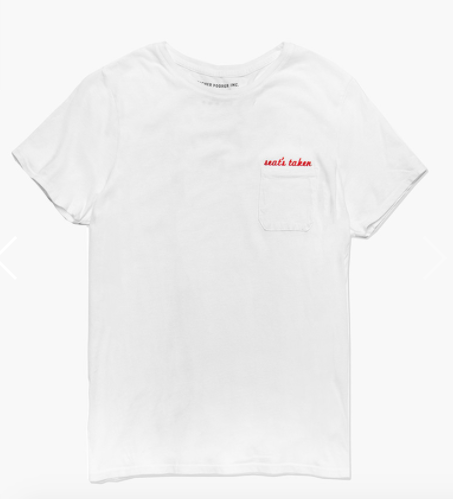 Why buy a plain white tee when you can get a plain white tee with a pocket AND “seat’s taken” embroidered in red? 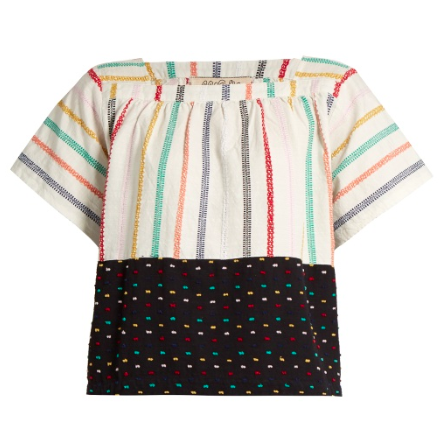 This shirt is soft and you must own it. Did you know H&M sells home goods and decor? 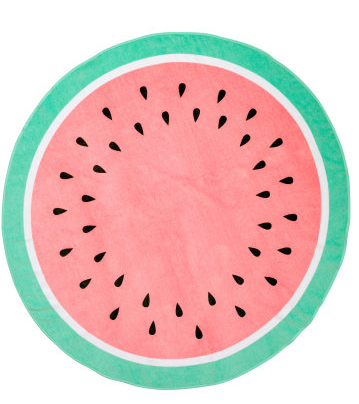 Including this WATERMELON towel that you can bring with you to the pool or the beach or the water park or to a picnic? Now you know.